As the Federal election enters its final fortnight, Grattan Institute’s CEO and Program Directors discussed the key policy reforms that the next Commonwealth Government should tackle. Some issues will be part of the election platform of one party or another. Many won’t be. As an antidote to campaign trail gossip, this event covered a broad field of the issues that really matter to Australia’s future: economic growth, budget repair, tax reform, transport infrastructure, education and health. Virginia Trioli is one of Australia’s best-known journalists, with a formidable reputation as a television anchor, radio presenter, writer and commentator. She is much sought-after as a speaker and MC, and combines a rigorous interviewing style with an often wicked sense of humor. Virginia has held senior positions at the Age newspaper and the Bulletin magazine. For eight years she hosted the Drive Program on 774 ABC Melbourne, and the Morning Program on 702 ABC Sydney. She has been the host of ABC TV’s premiere news and current affairs program, Lateline, also Artscape and Sunday Arts. She is a regular fill-in host on Q and A. She currently anchors ABC News Breakfast on ABC 1 and ABC News 24. John Daley is the CEO at Grattan Institute. John is one of Australia’s leading public policy thinkers, with 25 years experience in the public, private and university sectors. 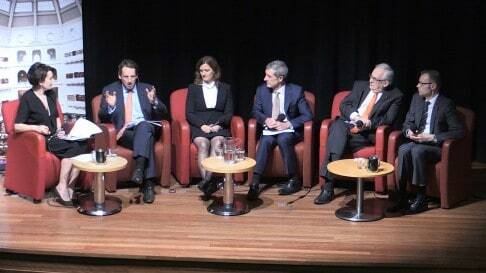 He has worked for ANZ and McKinsey, the Victorian Department of Premier and Cabinet and the University of Melbourne. At Grattan Institute he has written a number of reports on economic, budgetary, and tax reform, including Balancing Budgets: tough choices we need, and The wealth of generations. Stephen Duckett is the Health Program Director at Grattan Institute. Stephen has held top operational and policy leadership positions in health care in Australia and Canada, including as Secretary of what is now the Commonwealth Department of Health. He has a reputation for creativity, evidence-based innovation and reform in areas ranging from the introduction of activity-based funding for hospitals to new systems of accountability for the safety of hospital care. An economist, he is a Fellow of the Academy of the Social Sciences in Australia. Marion Terrill is the Transport Program Director at Grattan Institute. Marion is a leading policy analyst and former public servant who has also worked in the private sector. Her public policy experience ranges from authoring parts of the 2010 Henry Tax Review to leading the design and development of the MyGov account. She has provided expert analysis and advice on labour market policy for the Commonwealth Government, the Business Council of Australia and at the Australian National University. She joined the Grattan Institute in April 2015.